XZEL designs and builds power supplies ranging from simple low-cost linear types to the most complex, high power, multiple output switchmode systems. 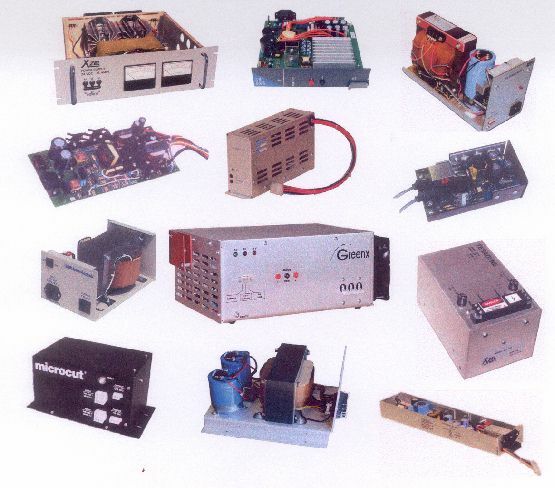 Outputs range from 5 watts to 5,000 watts, 600 amps and 10,000 volts. Whether your needs call for a card cage, a rack mount, an open frame or a specially designed enclosure, we can design a POWERFITä product that will meet your power supply needs. Close engineering liaison assures that all your product specifications and requirements are met. Call XZEL today to work out the design for a POWERFITä supply with an XZEL engineer.